The 900 Series is crafted from 2002 Bronze, with its legendary warmth, brilliance and strength. 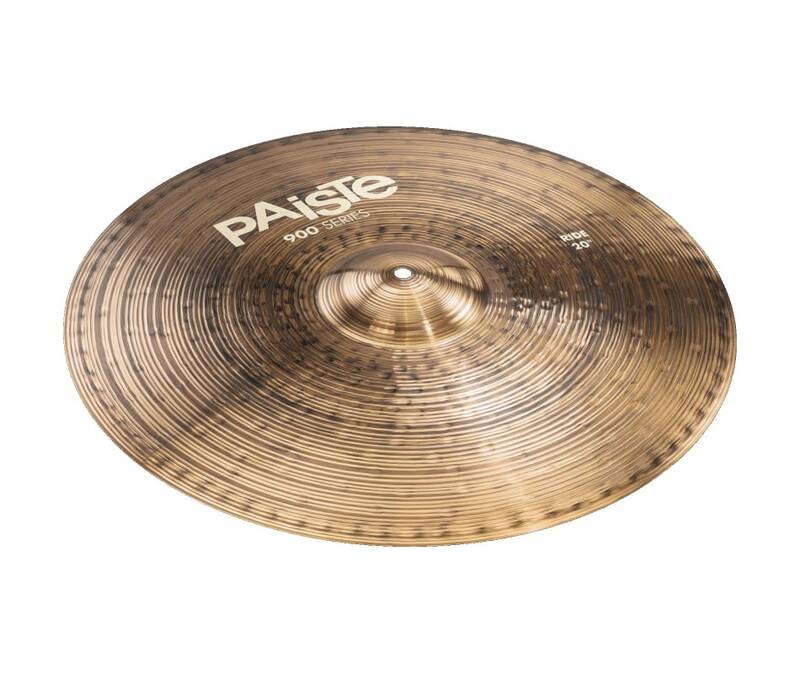 In sophisticated hybrid manufacturing the cymbals are refined by Swiss craftsmanship with hand hammering and lathing. A special finish slightly darkens the cymbals and amplifies the lathing grooves and hammer marks for a spectacular appearance that fuses roughness and elegance. Innovative design provides 900 Series cymbals with greater flexibility, resulting in a giving feel and outstanding playability. The overall sound is warm and full with subdued, discreet brightness. Heavier and larger models add abundant brilliance, cut and projection. The core of the series focuses on Crashes and Rides of medium and heavy weight in a wide range of sizes. The 900 Series sets the new standard for advanced sound at a reasonable investment. 22" Ride Sound Character: Brilliant, sharp, powerful. Wide range, clean mix. Heavy feel. Bright, pronounced ping over a controlled, warm wash. Massive bell. Powerful, cutting ride for loud playing.